274 Braselton Farms Drive, available now at Braselton Farms in Jackson County! 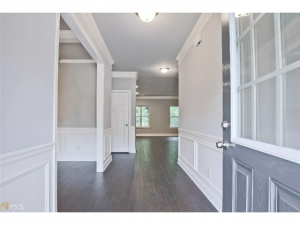 If you are looking for a new home in Jackson County, Richardson Housing Group (RHG Homes) invites you to visit Braselton Farms! 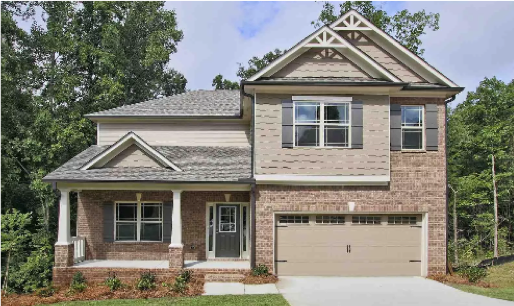 Braselton Farms is a gorgeous community of new homes in quaint Hoschton, a quiet, family-friendly area. When you enter Braselton Farms, you will truly feel like you’re home. Sidewalks meander throughout the community, and gracious covered porches invite you to gather with family and neighbors. Choose from a variety of award-winning home designs with 4 to 5 bedrooms, and up to 2,700 square feet of living space. 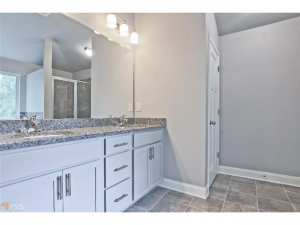 Each home includes the features you want most, such as hardwood floors on the main level, gourmet kitchens with granite countertops, tiled bathrooms, luxurious master suites, and much more! Braselton Farm is just minutes from I-85, US 129, and SR 53, giving you terrific access to jobs, shopping and dining in Jefferson and Gainesville. Enjoy boating and beaches at Lake Lanier, and take in a round of golf and sample exquisite wines at nearby Chateau Elan! The community also offers quick access to the new Northeast Georgia Medical Center! Families will love the excellent Jackson County schools. 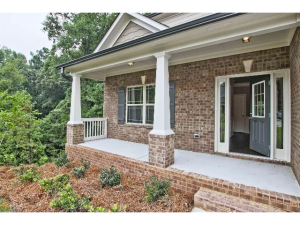 Today, RHG is pleased to feature this beautiful home available for purchase now at Braselton Farms! 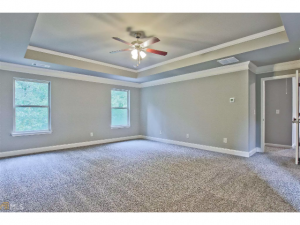 Located at 274 Braselton Farms Trail, this 4 bedroom, 2 bath home offers the fantastic Santa Fe home design on a basement. The home is located on a cul-de-sac and includes private backyard – your family will have plenty of privacy, and space for entertaining! 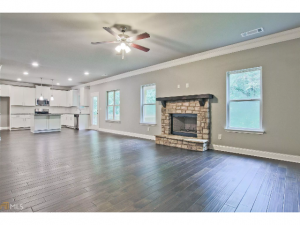 Five-inch wide handscraped hardwood floors extend throughout the main level. You’ll love the open-concept layout – the bright and spacious family room has a gorgeous stacked stone fireplace with cedar mantle. 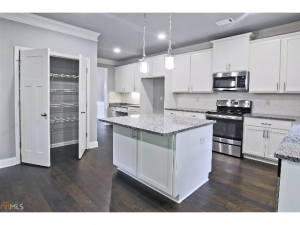 The family room is open to the gourmet kitchen, which is a chef’s dream -there is an abundance of white cabinetry, granite countertops, subway tile backsplash, large island, recessed and pendant lighting, and stainless steel appliances. 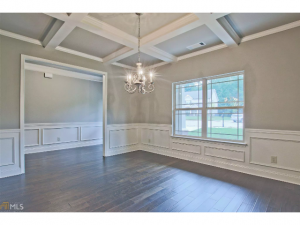 The formal dining room with coffered ceilings is perfect for large family gatherings. The luxurious master suite includes trey ceilings and a spa-like bath with double vanities, a garden tub, and separate tiled shower. There are three additional spacious bedrooms and an additional bath, in addition to the half-bath downstairs. 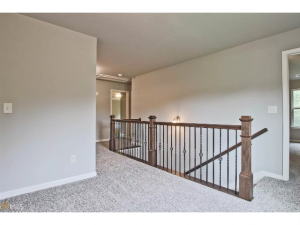 The upstairs loft area is a wonderful space for a den, playroom, or teen hangout. This beautiful home is priced at $279,950. For more information on this beautiful home, contact Realtors® Wayne Kelley (770-330-5978 or wkelley@psponline.com) or Phil Nardone (678-794-0431 or pnardone@psponline.com). *Terms and conditions apply – please see on-site agent for more details.